Hugo Kraas was born on January 25, 1911 as the eldest of seven sons. He studied to become a teacher but his father's death killed that dream – he had to stop studying and get a job. On May 1, 1934 he joined the NSDAP, and for a short period of time, more specifically until April 19, 1935, he was a member of the SA. Then he was transferred to the Wehrmacht, to infantry. He was not a member of the Wehrmacht long because when he got the chance to join the newly formed SS-forces, he used the opportunity and joined on October 15, 1935. He served as the SS-Rottenführer in SS/VT Germania Standarte. Kraas was part of the third cadet class of the SS Junkerschule in Braunschweig in April 1937 and after graduating on March 12, 1938, he received the SS-Untersturmführer rank. He was the second excellent student in his course to graduate. SS-Untersturmführer Kraas was appointed to the 14. Panzerjägerkompanie (tank destruction company) of Leibstandarte SS Adolf Hitler and served directly under Kurt "Panzermeyer" Meyer. Kraas fought with his unit very successfully throughout the Poland's Campaign and for that he received the Eisernes Kreuz II.Klasse on 16 October 1939. In November, Kurt Meyer was appointed to be in charge of the 15. Kradschützenkompanie (motorcyclists) and he was allowed to take one other officer with him. He chose Kraas. Now, being the SS-Obersturmführer, he participated in the Holland Campaign, during which he became the first officer in the LSSAH who received the Eisernes Kreuz I.Klasse. He earned it thanks to moving 50 miles to the enemies' lines, along the River Ijssel and, in the process, capturing 7 officers and 120 soldiers! After successful campaigns in Holland and France, the LSSAH was increased from a regiment to a strengthened brigade. Meyer's 15th Kradschützenkompanie became the LSSAH's Aufklärungsabeilung (surveillance unit with special assignments). Kraas' unit became its 2nd company and Kraas became the leader of this company. Alongside with Meyer, Kraas fought on Balkan and in Russia, where after Meyer was injured on October 1941, Kraas became the leader of the Aufklärungsabeilung. On the first Christmas holiday in 1941, Kraas was awarded for his bravery and successful leading of the SS-Aufklärungsabeilung 1 in the Rostov battles with a Deutsches Kreuz in Gold. In June 1942 LSSAH became the Panzergrenadier Division and Kraas became the commander of the 1st Battalion of SS-Panzergrenadier Regiment 2. He led his battalion during the retreating from Kharkov and in occupying it back. For his bravery during the occupation of Kharkov, Kraas received the Ritterkreuz on 28 March 1943. 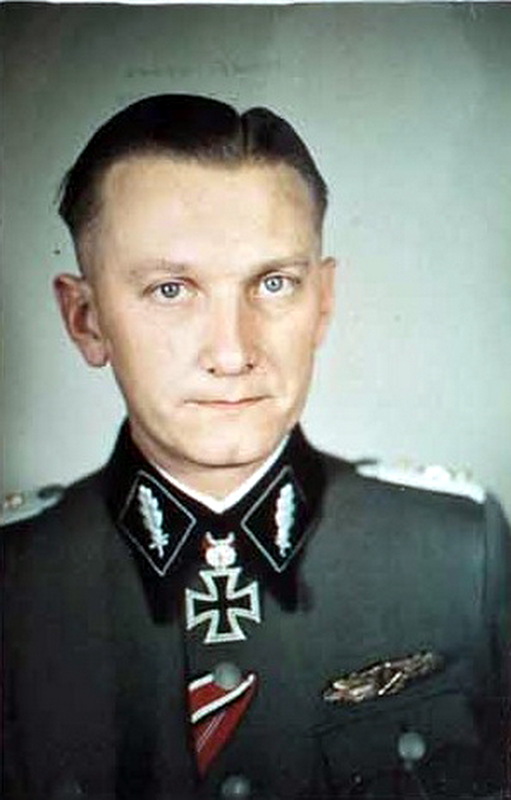 In the summer of 1943 Sepp Dietrich left the position of the LSSAH Commander and became the leader of the 1st SS-Panzerkorps. The new leader of the LSSAH was Theodor Wisch. Kraas became the leader of the regiment that used to be led by Wisch. Soon after he was promoted as the SS-Obersturmbannführer. Operation Zitadelle was soon beginning. On 5 June 1943 Kraas' regiment received an order to pass the strongly protected bunkers south of Bykov, cross the town and move towards the main target – to conquer the upland 234, north of Bykov. They began the attack exactly 4 a.m. in the morning. They managed to cross the minefields and passed the bunkers' area. Moving onwards was difficult and slow. They fought over every meter and the losses were big, especially among the pioneers. The attack was stopped to reorganize it, but the enemy used it to secure its bunkers' line. 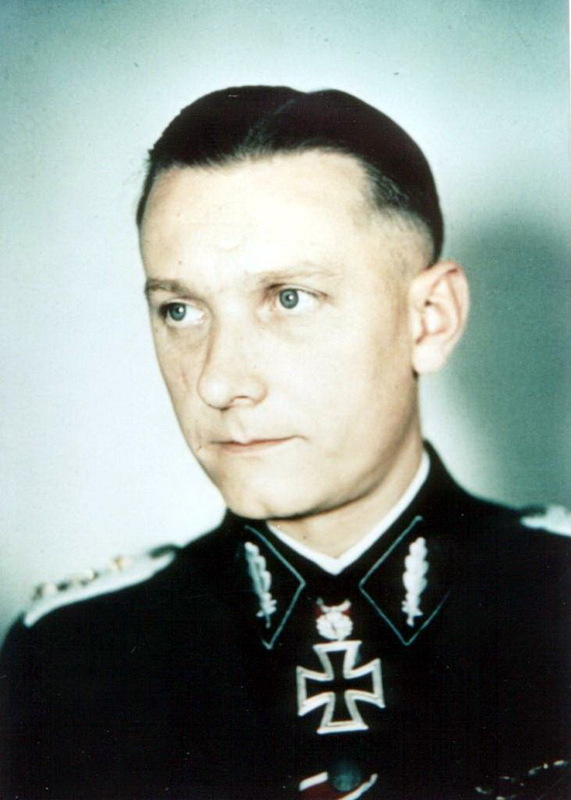 To avoid failing because of a possible attack, SS-Obersturmbannführer Kraas continued to attack with all of his remaining men. 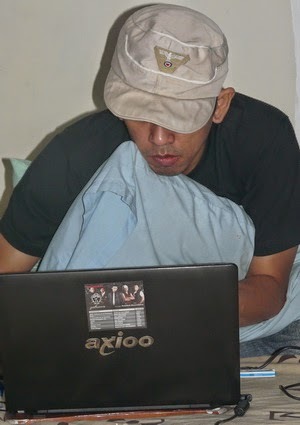 They were divided into three attack groups, one of them was led personally by Kraas. They attacked the upland 220, which was protected by Russian tanks and they realized that in order to overmaster the Russians they needed to have a close combat. SS-Obersturmbannführer Kraas and his unit moved fast towards Bykov. They were always leading the attack and participating in the most heated battles. After a 12-hour difficult fight, at 4 p.m. the mission was completed and the upland 234 was conquered. SS-Brigadeführer Wisch felt that if SS-Obersturmführer Kraas would have failed, the divisions' attack in south would have stopped. Despite this win, the operation Zitadelle was already a failure before it began because the forces were uneven. When the allies landed in Sicily, the operation ended. After operation Zitadelle failed, Russians took initiative on the front and German forces were in the role of the defenders. On December 26, SS-Obersturmbannführer Kraas' regiment started to defend the division's (LSSAH) left wing. At 1 p.m. in the afternoon they were attacked by a Russian regiment with thirteen T-34 type tanks. The attack was stopped, three Russian tanks were destroyed. The Russians did not give in and in the night of the 28th, at 2.30 a.m., they attacked with new forces. Fifteen T-34 type tanks, on which the enemies' infantry soldiers were sitting, moved with loud noise towards SS-Obersturmbannführer Kraas and his men. With the help of the division's tank group, the enemies' attack was stopped once more. But this was not the end. The Russians attacked again, an hour after the previous attack failed, and this time they had thirty-five T-34 type tanks. During the most difficult moment of the attack, the Russians managed to break in on the regiment's left wing and moved onwards until they reached the regiment's headquarters. SS-Obersturmbannführer Kraas, who personally led the headquarters' members, took the men to a counterattack from the Russians right wing – once again the Russians' attack was stopped! Nineteen T-34 tanks were left smoking next to the Russians infantry. But the Russian army did not calm down and attacked on the noon of the next day with four infantry regiments from north and east, and they had sixty T-34 tanks supporting them. Kraas managed to stop the enemies' attack again and he established a new frontline, thus preventing his regiments from falling into a trap. Despite this kind of success, the Russians had taken over the area outside the division's defended area and the LSSAH received an order to retreat. Kraas received an order to retreat from the village towards south, to the area of Guiva. The bridge that was built across the river, had been blown up. Kraas led his regiment and the Panther tank's company parallel to the enemies' front towards west, being under constant fire. They found a bridge in the west and crossed it. Kraas was the last man to cross the bridge. This way the regiment successfully reached its new frontline in the village of Voroschino. Again they managed to prevent the regiment being surrounded. By the evening of December 29, the Russians managed to create a bridgehead that gave them a good opportunity to attack the village. And that's what they decided to do. The regiment's first battalion was under fierce attack but they managed to fight back the dominating enemies. Not until the battalion leader and some men, who were sent shortly before the battles began to help, had been killed, was the battalion called back from its positions. The Russians moved quickly towards the village to cut Kraas and his regiment off from the front and destroy them. Kraas, having analyzed the seriousness of the situation, gathered all remaining forces and armed himself with an automatic gun, began to lead the counterattack, which target was to clean the village from Russians. They succeeded and the front became more stable, future Russians' attacks were beaten back. This four-day defence manoeuvre exhausted the enemy and allowed the whole division to retreat from the front peacefully and according to the plan. Kraas' units destroyed 91 enemy's tanks, 63 cannons, captured 900 Red Army soldiers and destroyed more than 3,000 enemies during these four days! Kraas was wounded on January 5, 1944 and he was removed from the front. On January 25, as he was recovering, he had the honor of being one out of 375 soldiers who received the Ritterkreuz des Eisernen Kreuzes mit Eichenlaub. This was for his bravery in Kursk and in the area of Zhytomyr. Six days later he was promoted to SS-Standartenführer. He passed the Division leaders' course and afterward he was taken to the 12th SS-Panzerdivision Hitlerjugend where on November 15, 1944 he took over the division from Fitz Kraemer. He became the fifth and the final leader of this division. After the Ardennes' operation, he was promoted as SS-Oberführer and on April 20 as SS-Brigadeführer. He led the 12th SS-Panzerdivision Hitlerjugend through the final fierce battles of the war, surrendering on May 8, 1945 in Austria, near Linz, to US units. He was kept in prison until 1948. Hugo Kraas died of an heart attack in his home in Selk, Schleswig-Holstein, on February 20, 1980.